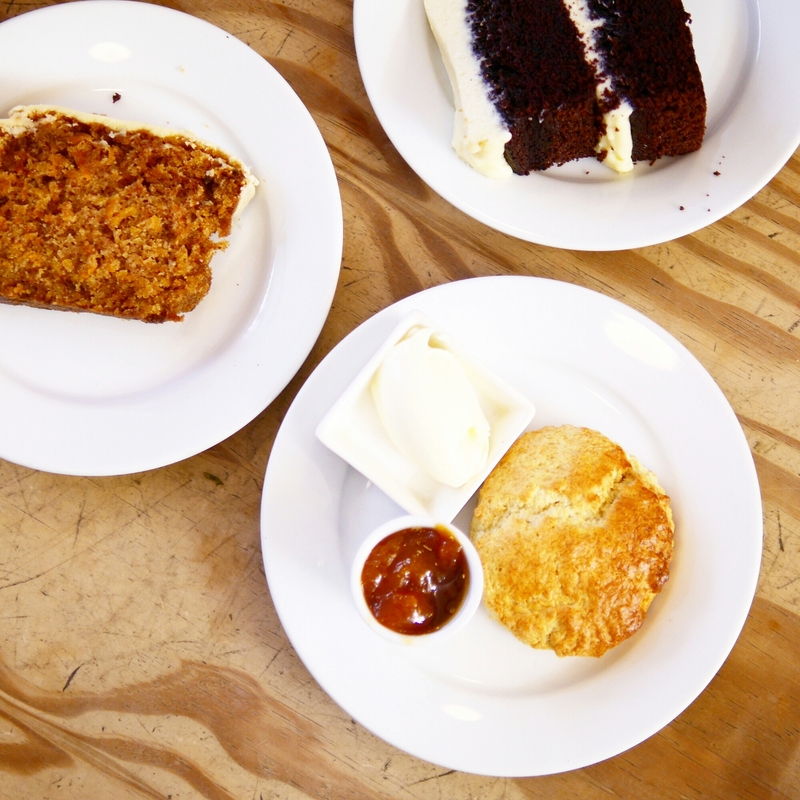 We went to Edinburgh expecting a lot of fresh seafood, but instead were left most impressed by Edinburgh Larder’s cakes and scones. The quality and taste of tea time treats at this home-y cafe is almost unparalleled in my encyclopedia of eating. This place would undoubtedly be my number one food recommendation to anyone visiting the city. Perfect Scones – They sell out quick! We came here at about 2:30pm and immediately noticed only one scone left at their counter. We frantically ordered it and given how good each bite was, we were ultimately unsatisfied that there was so little of it to share between our group. We loved it so much that we came back the next morning and ordered one whole scone each! 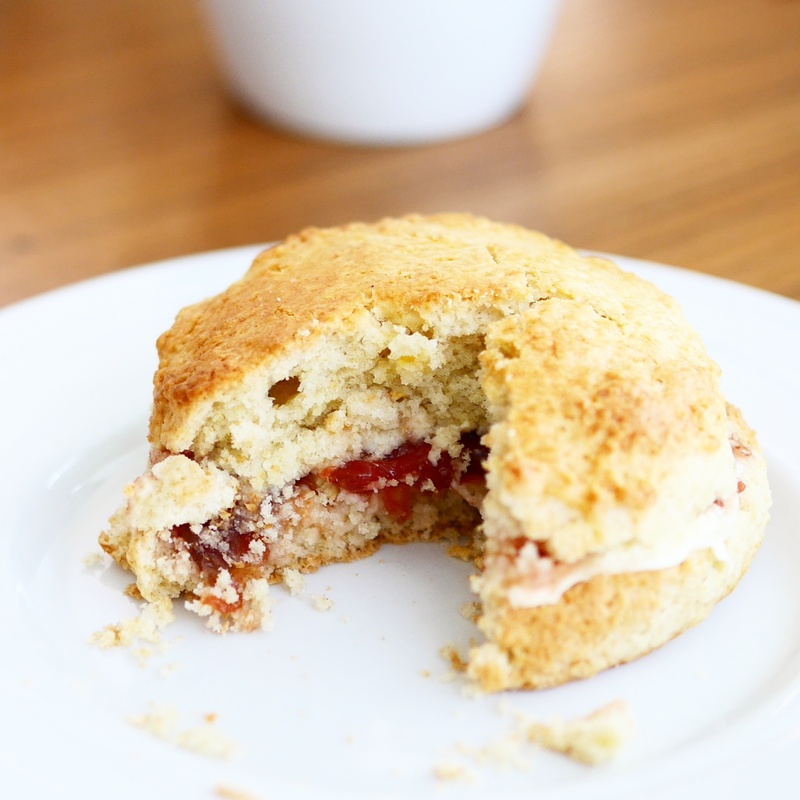 I continue to fantasise about these scones and my only hope may be to recreate it myself… Any advice? They have a range of homemade cakes on their counter and the lady recommended this beer chocolate cake. 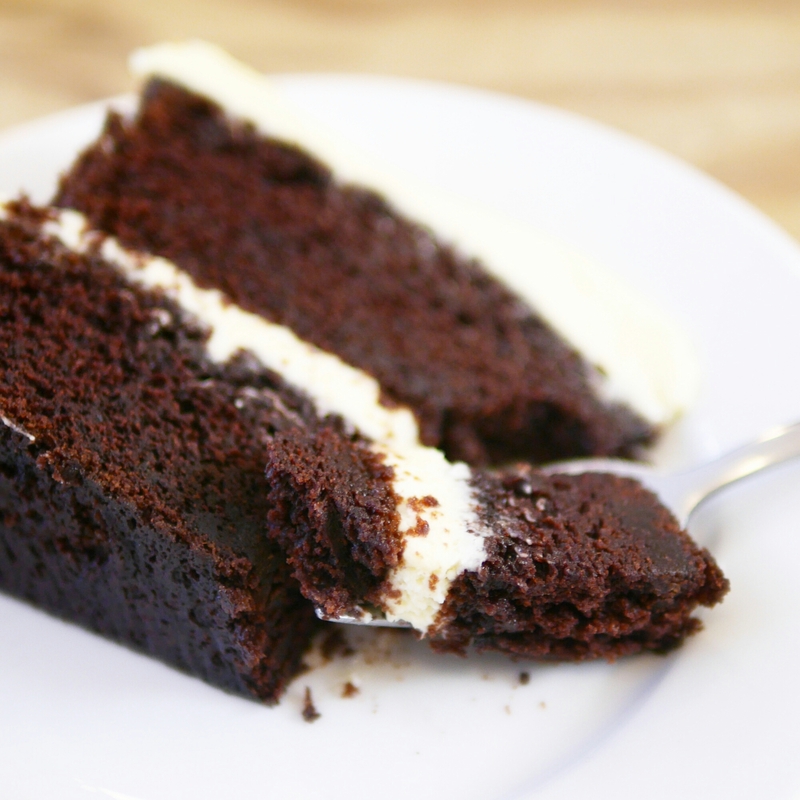 The beer makes the cake extremely moist; in fact, this has to be the moist-est cake I’ve ever had! And there’s actually no beer taste to it at all. 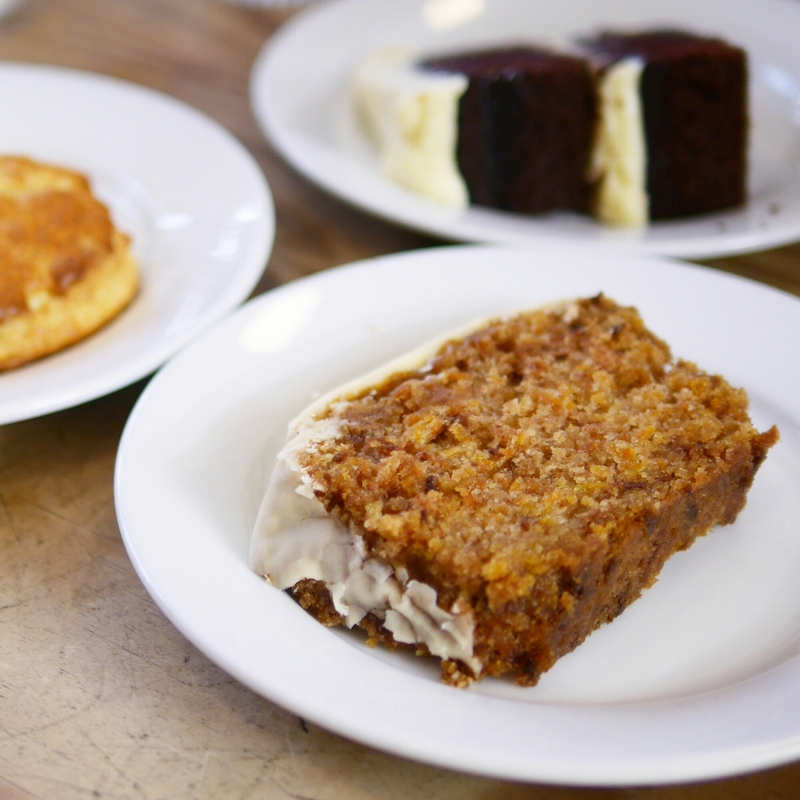 Ordering the carrot cake was a no brainer – it looked amazing on the counter. Again, the cake was very moist (which I love) and was well balanced in flavours in terms of carrot and cinnamon; I also liked that it was not too sweet. It was in general a good classic, though given how outstanding the scone and chocolate cake was, this would be number three on the list. Read more about my trip to the UK at Coffee Journey from London, Nottingham to Edinburgh.